Anyway, at an important conference of senior commercial bankers, one of my own commercial loan officers was wearing a tacky-looking, shiny, light-gray business suit. His "modern" or "trendy" suit had three buttons, instead of two, and he had all three buttons buttoned. 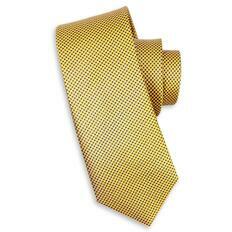 To top off his hideous light-gray suit, he was wearing light-brown (blonde leather) shoes and matching belt. Oh, my goodness. This guy was representing our investment banking firm? 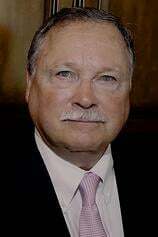 Folks, appearances matter in commercial banking, investment banking, and commercial mortgage banking. In commercial mortgage lending, we deal in transactions often involving millions of dollars. If you were a Senior Vice President of a bank or life insurance company, would you have a lot of confidence in a commercial mortgage broker dressed in a polyester suit from Sears? Like it or not, if you want to succeed in this business, you have to dress for success. Business suits should be either Navy blue, dark gray, or charcoal. 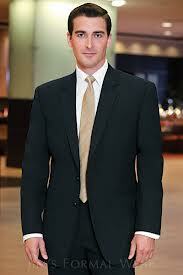 Black suits are inappropriate for business (too somber), but they are far better than light-colored suits. Light-colored suits may be appropriate for a date with your girlfriend, if you live in Miami or San Antonio (a hot climate), but they are almost never suitable for selling to bankers. Green suits make white guys look sickly and are never acceptable. I've seen some black guys who looked quite decent in green suits ... but these guys were still "out of uniform". Banking has a certain uniform. Brown suits and green suits are definitely NOT a part of this uniform. Solid-colored suits are good, and pinstriped suits are even better. The closer the pinstripes, the richer the suit. Some rich-looking (not too busy) plaid suits are acceptable, but they're tricky. You don't want to look like a used car salesman. If you do wear a plaid suit, make SURE you wear a solid-colored tie. 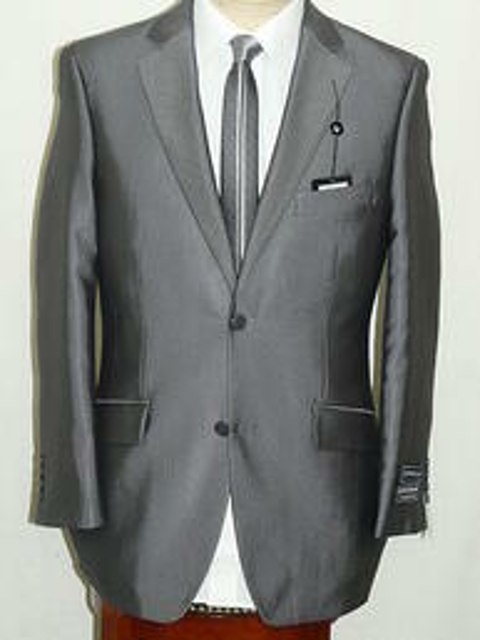 Regular 100% wool suits are greatly preferred for trade shows in New York and Boston. Worsted wool is acceptable for trade shows in San Diego and other warm climates. Worsted wool is not as hot or as heavy as 100% wool for warmer climates. But remember, never-ever-EVER wear light-colored suits to meet bankers - even if the light color is gray. 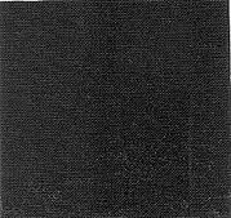 Below is a handsome (darker) color of worsted wool. A business suit should never shine. My commercial loan officer's suit shone like a polished car. Like I said, I was horrified. And it goes without saying that you should never wear a polyester suit. Even though my commercial loan officer's suit was actually worsted wool, and not polyester, his suit looked like it was polyester. The suit below is both too light and too shiny. Your leather (shoes and belt) should match, and they simply must be either black or a deep, dark cordovan (dark reddish-brown). Brown shoes are never acceptable with blue or gray suits. 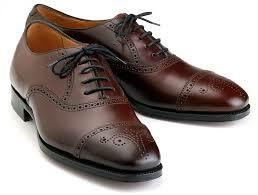 The below shoes are cordovan. I personally prefer wearing black leather because its easy to get the color of an acceptable cordovan wrong. The closer to a dark wine color, the better. The shoes below are a little too brown for my taste. 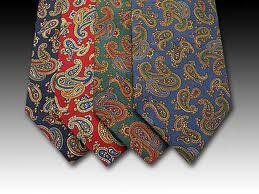 Your tie should be either blue, burgundy, gray, or gold when meeting bankers. The gold color below is just about perfect. Your tie should be either solid-colored, striped (just two or three colors), and or have a small regularly-repeating pattern. The smaller the pattern, the richer the tie. 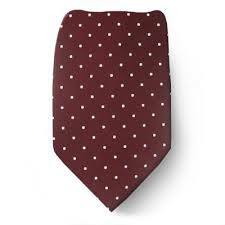 I like both the color and the small, regularly-repeating pattern on the below tie. A "rep tie" is a striped tie that "represents" the colors of the fancy university or prep school that you attended. 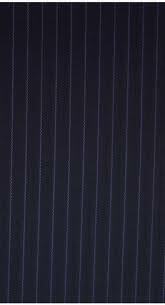 Never wear a striped tie / rep tie with a plaid suit or a pinstriped suit. Rep ties are nice with solid-colored suits. Let's talk about the three-button business suits that I see many young commercial loan brokers wearing. My first thought when I see a young man at a commercial mortgage conference wearing a trendy, three-button suit is, "He's obviously just a low-level employee. I only want to talk with his boss." Remember the Golden Rule. "Them that's got the gold make the rules." The guys who have the gold are the guys of my generation (early sixties), and we wear dark blue or dark gray suits with just two buttons. You want my gold? Dress to please me, not your hot girlfriend. "Gee, George, you were awfully dogmatic about what my uniform should look like." Sorry, but commercial banking has a uniform. Get used to it. I used the term commercial banking above. A commercial bank is just a garden-variety bank that takes deposits and makes loans, as opposed to an investment bank or a merchant bank. An investment bank is a company that sells stock or membership interests in an LLC in order to raise equity dollars (as opposed to loan dollars). Equity dollars are a form of risk capital. The investors who contribute the equity dollars actually own all or part of the venture. They are the guys who hit a home run if the investment is successful or get wiped out first if the investment goes south. And if anyone ever tells you that he is a merchant banker, 99.9% of the time he is either a con man or a liar. Merchant banks - in real life - are just fairly small offices owned by bank holding companies or life insurance company holding companies that use the profits of their bank or life insurance company to make investments in high-risk, high-reward ventures, like providing real estate developers with the equity dollars they need to build a large projects. Our private money commercial mortgage company is hungry for commercial loans. if you have an absolutely pristine commercial loan, you can submit that commercial loan to hundreds of different really cheap institutional commercial lenders in just four minutes using C-Loans.com. And C-Loans is free! So your loan client has a $2,000,000 commercial loan that just ballooned, but the largest refinance any bank has offered you is $1,750,000. You're $250,000 short. We'll cover your shortfall. Last year I wrote a terrific commercial loan marketing course that you can take online. Just $199. Or you could just buy commercial mortgage loan leads from us. How would you like a free directory of 2,000 active commercial real estate lenders?